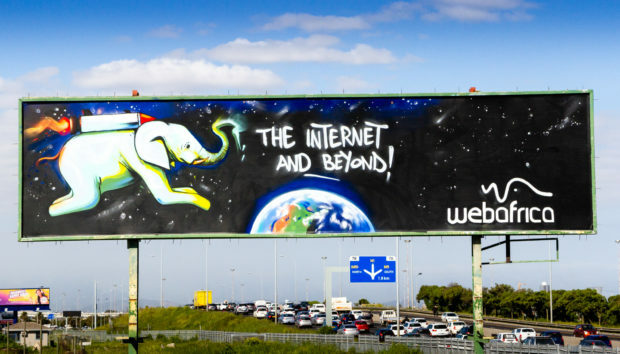 One of South Africa’s leading internet providers, Webafrica, collaborated with graffiti artist Falko One to show you Rocket Ellie flying in outer space on the N1, leaving Cape Town CBD. Falko updated the billboard five times over a six week period. 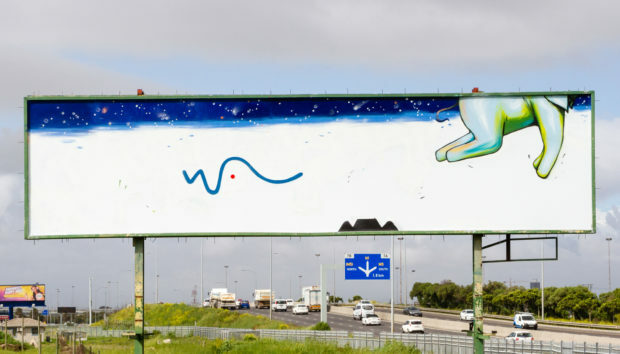 Rocket Ellie starts traveling from one side of the billboard to the other and eventually disappears. 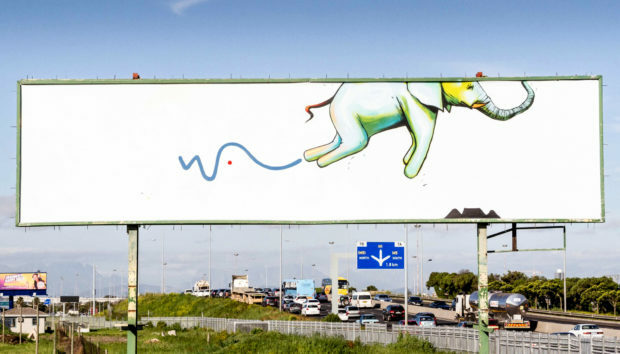 In the final version of the billboard, the elephant is seen traveling through space. This is to show you that, with the internet, your imagination is the limit. 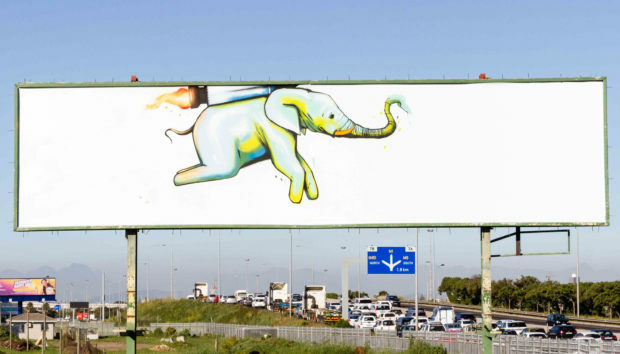 “The internet is big, and its reach is wide, kind of like an elephant with a rocket pack hurtling across the sky. Is it relevant to an ISP? Maybe, maybe not. 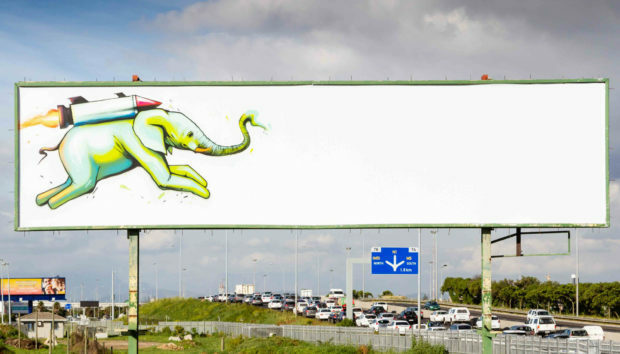 We just feel that we need billboards that go beyond advertising because Webafrica is beyond internet,” says Tim Wyatt-Gunning, CEO of Webafrica.